Network Module | Innsoft, Inc. Expand your Check-Inn property management system to multiple computers with our network upgrade. 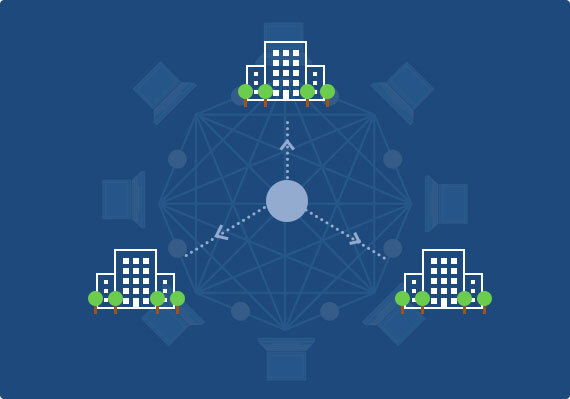 With the network module license, physically connected, networked machines can share Check-Inn software and upgrades, allowing for simultaneous use and increased productivity. The network upgrade is also required to interface with Expedia, Booking.com, and GDS (Network upgrade is included with purchase of Connect-Inn Channel Manager or Booking Button). With the upgrade, Check-Inn can share reservation information, current room rates, and availability between multiple websites. If you are interested in networking computers at your property, we recommend contacting a local computer expert for assistance. As Innsoft technicians are not networking technicians, we cannot set up your network. However, once your network is established, and a network module purchased, the Innsoft support team would be happy to work with you or your chosen computer technician on network module setup. Our technical support team is the best in the industry and our clients always receive courteous and patient service. A network consists of several computers connected via network cables and Network (Ethernet) Cards. If you have more than two workstations, you will need a “Hub” or “Switch” to connect them. We do not recommend mixed networks, e.g., computers running different version of Windows on the same network. Your network technician can provide more detail on how networking would work at your property. For more pricing information, and insight into how our central reservation systems function over a network, contact Innsoft today. We would be happy to provide a quote for your network upgrade.